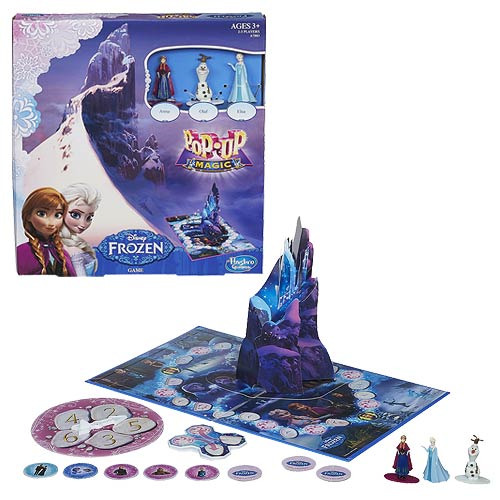 Join the cast of Frozen on a magical journey in this Pop-Up Magic Frozen Game! The gameboard for this Disney-themed game has everything you need for a magical (if cold) journey. Connect the board to other Pop-Up Magic games (other games sold separately) for a longer path and even more magic. Gameboard connects to other Pop-Up Magic gameboards (other games sold separately). Ages 3 and up!